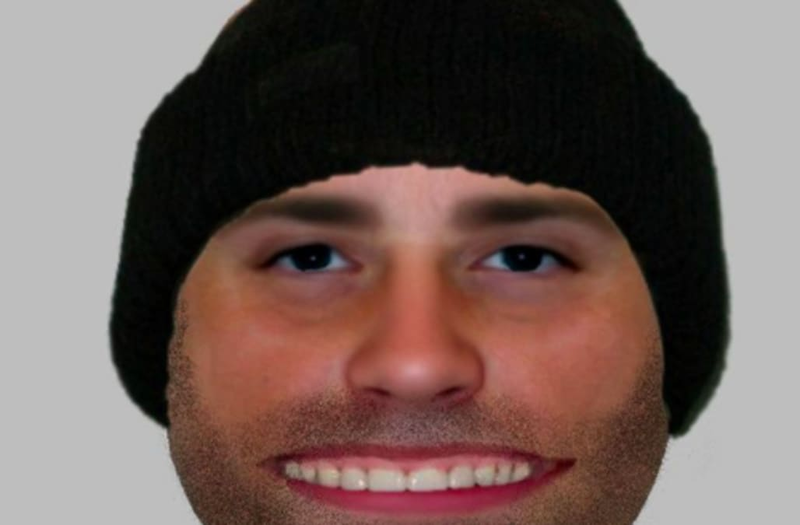 Police in Warwickshire, England, released a terrifying sketch of a man suspected in a February distraction burglary case — and the internet is having a field day with the image. "Between 2.00pm and 2.36pm on 5 February 2018, two men claiming to be from Orbit Housing tricked their way into a flat in Hertford Place," said the Warwickshire Police in a press release. "One of the men distracted the occupant - a woman in her 40s - while the other man searched the property." The statement continues on to note that the victim eventually realized the men were not from the housing association they claimed to represent and ordered them to leave. The men then vacated her residence with a quantity of her cash and goods in tow. In hopes of catching the perpetrators, police released the following E-FIT, or Electronic Facial Identification Technique, sketch of one of the burglars — and his Chesire-cat-like mouth certainly is a sight to behold. The bizarre photo quickly went viral on Twitter, racking up nearly 20,000 retweets and a plethora of witty responses in just one day. "He sent me a snap!" one woman responded, adding a filter to the image that made the man's already comedically large mouth appear even bigger. "I just hope he didn't bite her," joked another. "Did he have a dog?" tweeted a third person, along with a photo of big-mouthed cartoon Wallace and his sidekick, Gromit. The photo received so much ridicule that the Warwickshire Police took to Twitter a second time to confirm that the sketch is, in fact, not an April Fools' prank. "We can confirm that this is real and that we anticipated the attention!" it wrote. "But jokes aside, it was created from a description provided and it's serious as a woman was victim of a horrible crime. Hopefully the attention will mean we identify the offender/bring him to justice quicker."